CLARION, Pa. (EYT) – Kevin Hines finds himself in rare company as he can claim that he belongs to a group of people that represents one percent of the global population. While it’s a group that Hines hopes no one else joins him in, it’s also a group that allows him to share a message that no one else on the planet currently shares. Hines is one of 34 survivors to recover from his jump from the Golden Gate Bridge. Of the 34 survivors, he is the only one to regain full physical mobility and also the only one who shares his story regularly with the public. On Wednesday, March 13, Hines will speak at Clarion University. The event is from 7:00 p.m. to 8:00 p.m. in the Gemmell multi-purpose room. Hines, who has spoken to more than 5,000 high schools, colleges, and universities while also being featured on CNN, ABC News, and The Today Show, leapt from the bridge in 2000, two years after being diagnosed with bipolar disorder at the age of 17. Hines has publicly said many times in speeches and videos that the second he cleared the railing, it was instant regret as he fell more than 240 feet at 75 miles per hour. According to an article printed in the Los Angeles Times in 2013, it is estimated that approximately 1,600 bodies have been recovered from the four-second fall from the bridge between the years of 1937 and 2013. With a fatality rate of more than 98%, Hines survived the fall, but not without severe injuries. 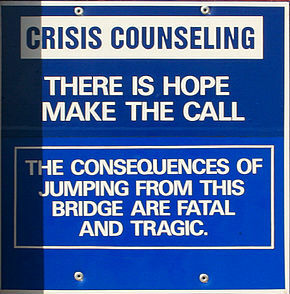 Signs like these can be seen at various locations on the Golden Gate Bridge. Upon hitting the water, Hines shattered spinal vertebrae but still managed to bring himself to the surface of the water by only using his arms. Fortunately for Hines, the Coast Guard arrived soon enough to pull him out of the water before hypothermia claimed his life. 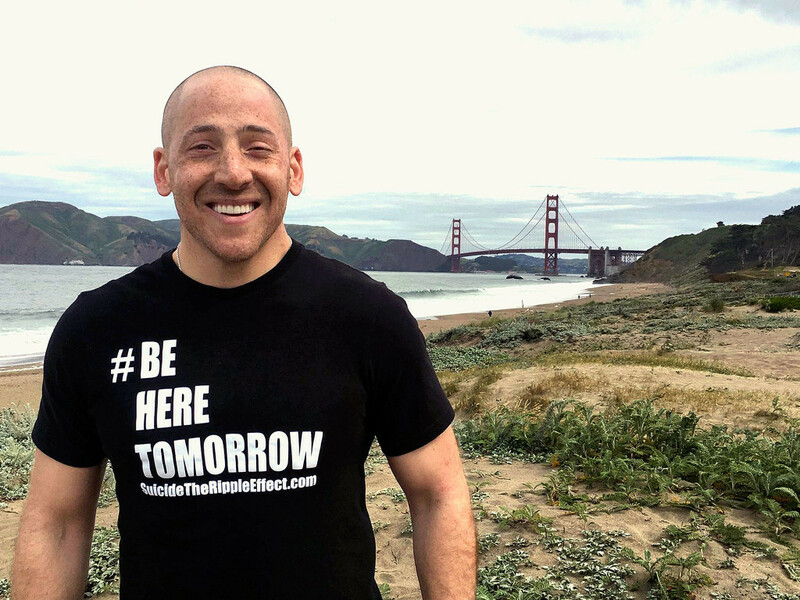 His motto, “Be Here Tomorrow” is his cry for anyone who may be in the same situation he was as he peered over the deck of the Golden Gate Bridge. Hines is open and honest about how much effort he puts into his mental health, and although he is not cured of his bipolar disorder, he has more effectively learned how to manage it daily. Hines’ stop at Clarion University is part of a tour he is doing to promote his new film, The Ripple Effect, which is set to open on March 14. The film aims to show the effect that suicide has on those that are left behind, citing that on average, 115 people are personally affected by a single suicide. 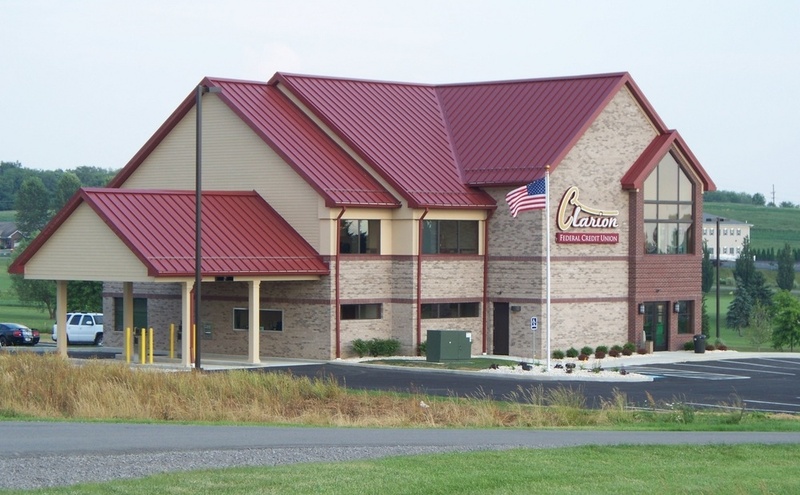 Jim McGee, Director of Wellness for Clarion University’s Center for Wellness, says that the Center and students alike are very much looking forward to Hines’ return to Clarion University. The event is sponsored by Clarion University’s Bacchus Gamma, a recognized student organization.